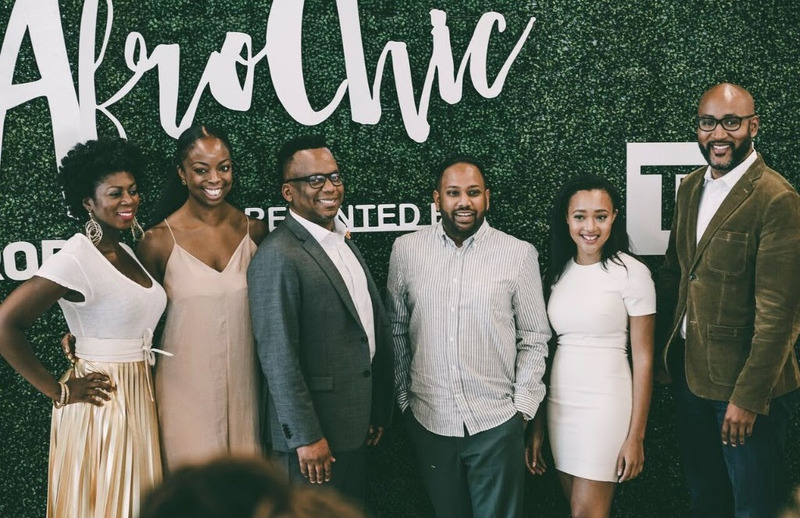 AfroChic – the annual community celebration of Afro-Caribbean music, visual art, fashion and culture returned with a two-day celebration on July 14th and 15th in Toronto. 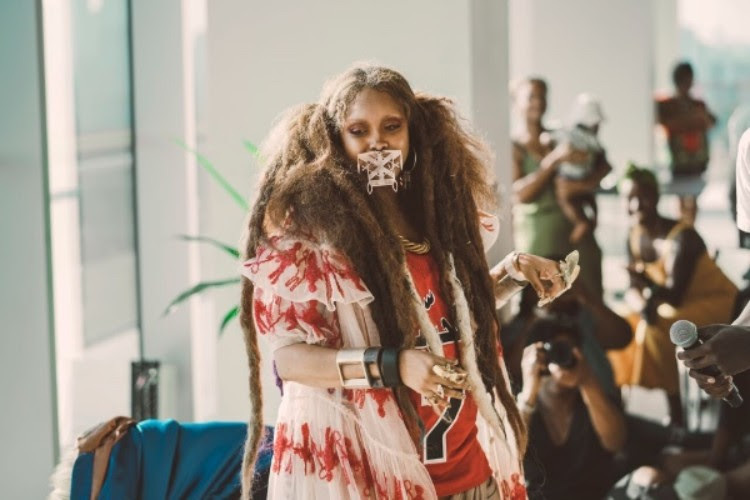 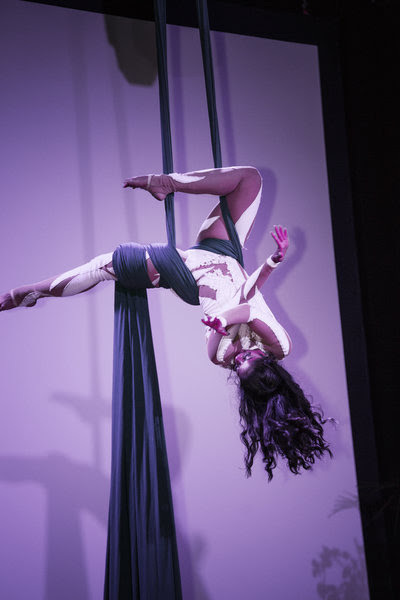 This year, the immersive experience aimed to ‘give people a non-traditional environment where they can be free to express themselves while experiencing Afro-Canadian art, culture and music’ topped their previous year, with an appearance from none other than Erykah Badu. 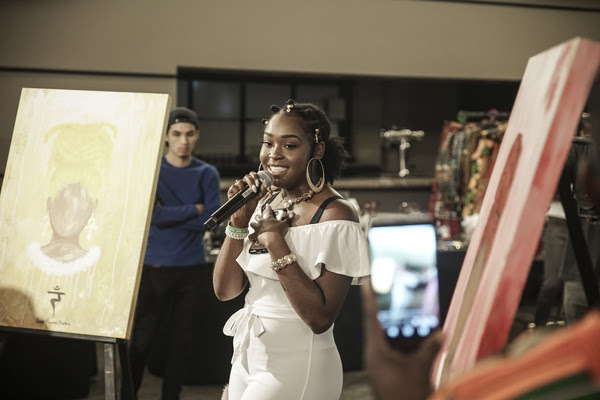 On the first night they had CTV’s The Launch – winner Jayd Ink, Shi Wisdom, 11:11, who hit the stage before the one and only DJ Lo Down aka Erykah Badu. 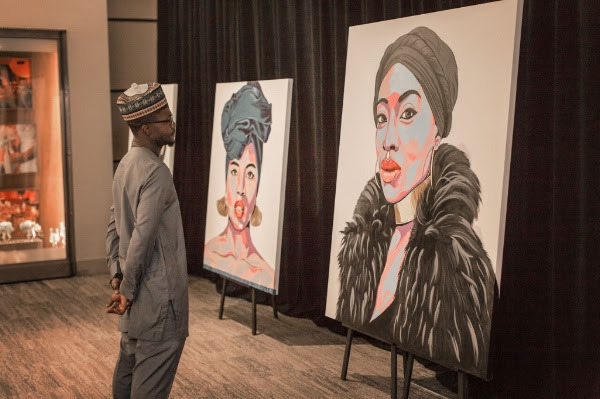 The visual art exhibits featured canvasses by Kofi Frempong, Benny Bing, Komi Olaf, Angela Yamal, StrawberryShortemper, Indiigo, and international artist Dunnie Onasanya. 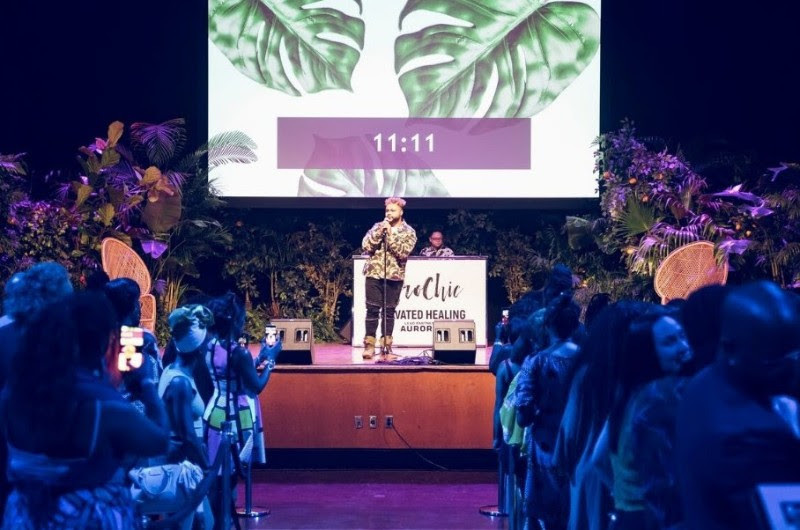 In the midst of the crowd, and through the evening, a fashion show was presented by designers, Deji Kalakuta, Omi Woods, and Majestic Wisdom, Archipelago Swim, Chief’s Wyar and Sugacayne Mas. 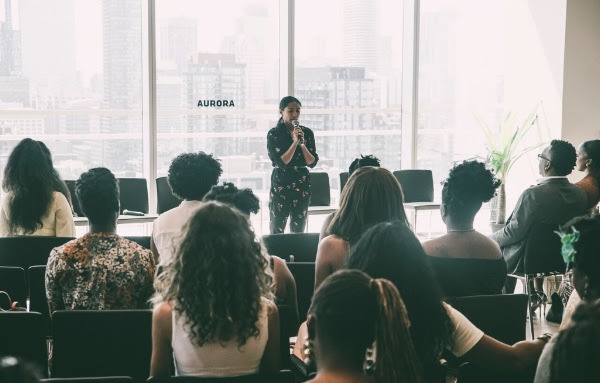 Day 2 began at the Globe and Mail Centre began with a TD Ready Commitment presented panel discussion on building generational wealth moderated by Naki Osutei, Vice President, TD Bank Group. 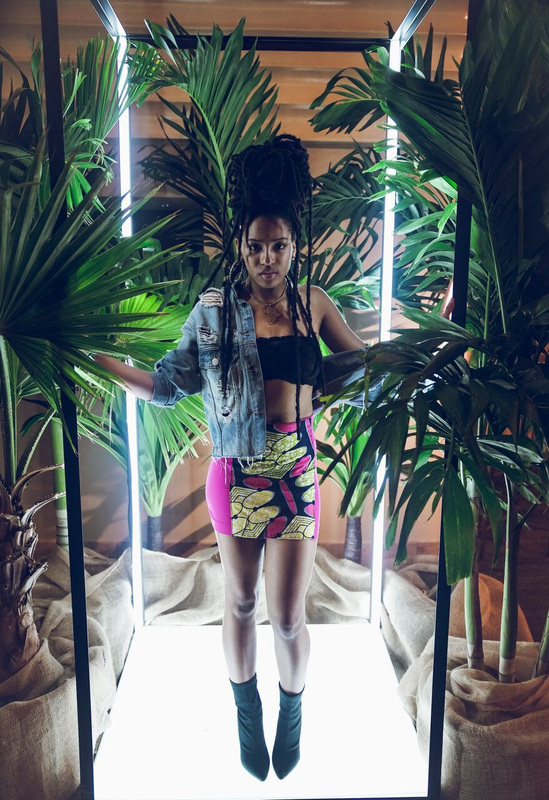 Featured speaker, was none other than the CNN and BBC News profiled New York Stock Exchange trader Lauren Simmons, the only female trader at the NYSE. 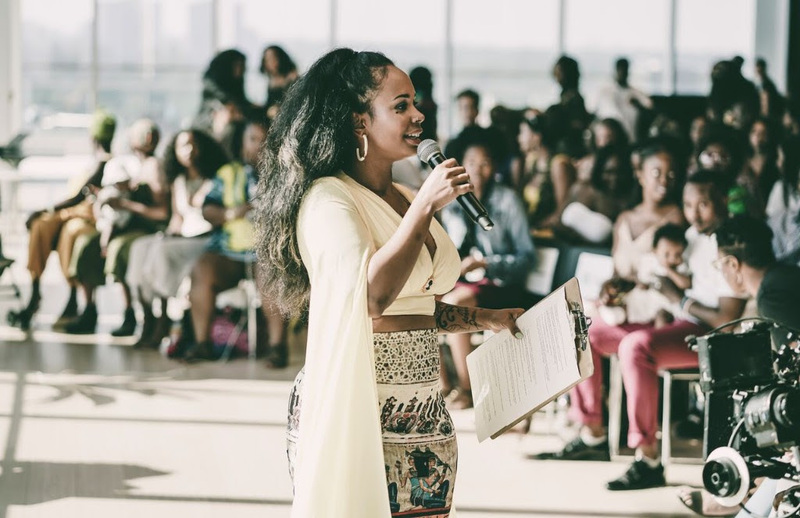 Other panelists include Nicolle Williams, Andrew “Smokey” Robinson, Ricardo McCrae and Andray Domise who led an engaging discussion around financial literacy and creating generations of wealth transfer. 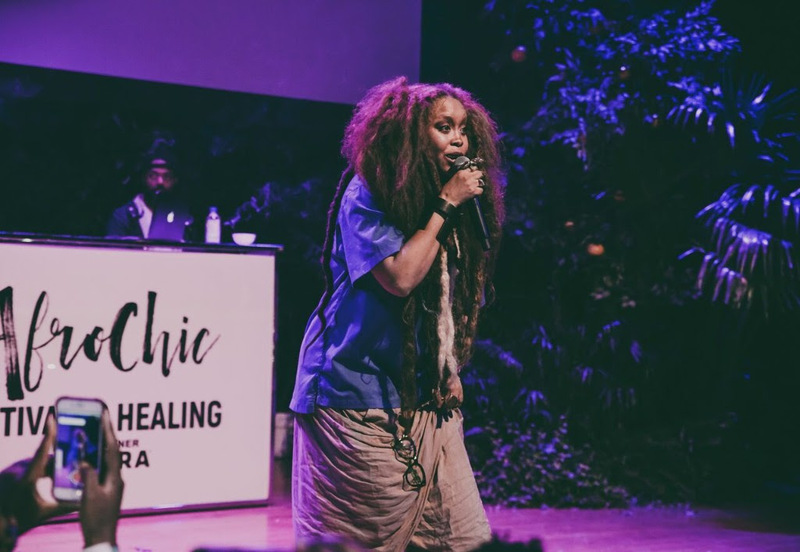 Erykah Badu can be both an old soul and a futuristic entity light years ahead. 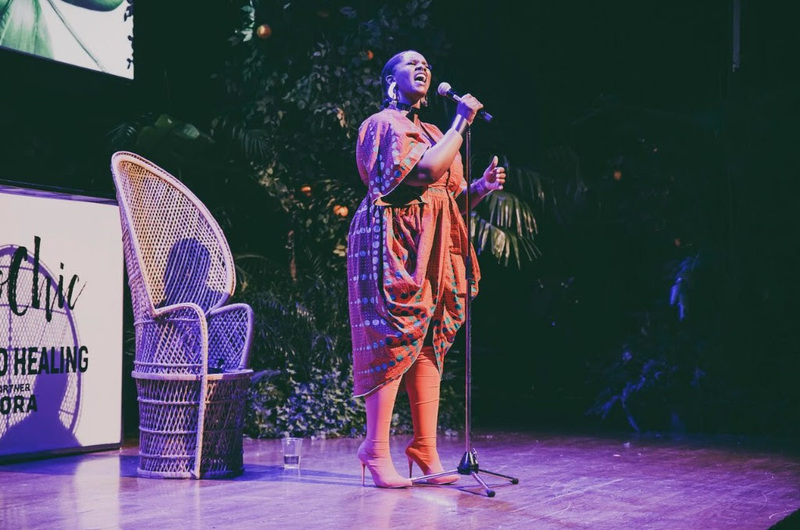 She is singularly timeless and AfroChic was absolutely without a doubt incredibly grateful to have had this queen participate during our festival weekend. 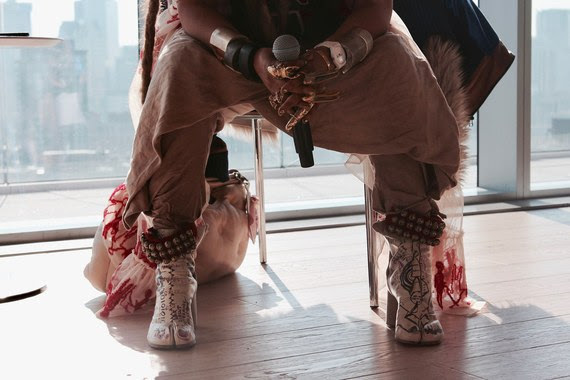 Erykah Badu’s one on one conversation with Kim Katrin Milan was everything! 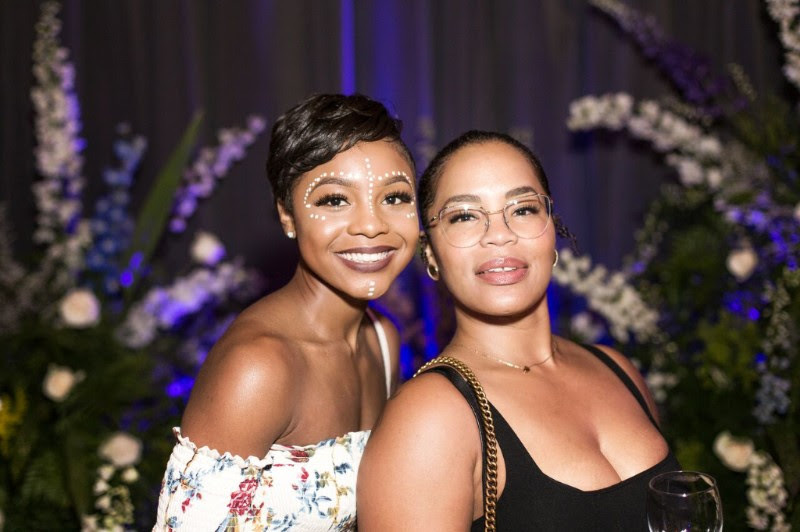 The two women talked about artistry, finding balance, intentional work, motherhood, the process of supporting people at both the beginning of life as a doula and being there to aid people towards the end of life experience. 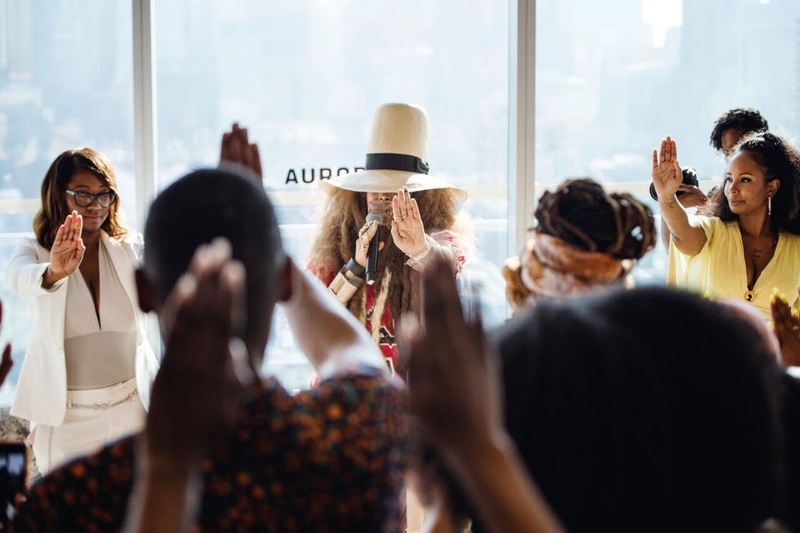 The crowd was mesmerized by her magic as she closed out the conversation and weekend with a live reiki session! 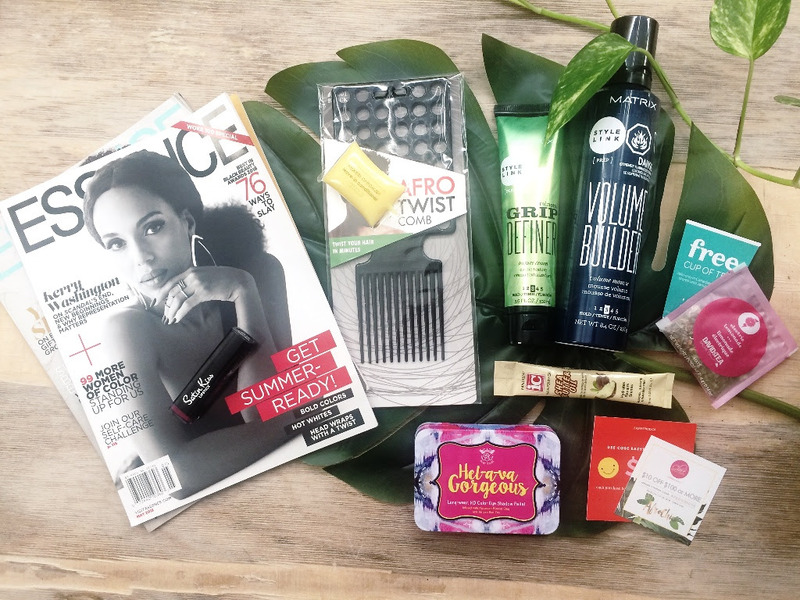 Guests received gift bags from Clore Beauty, Essence Magazine, David’s Tea and Easy Period.